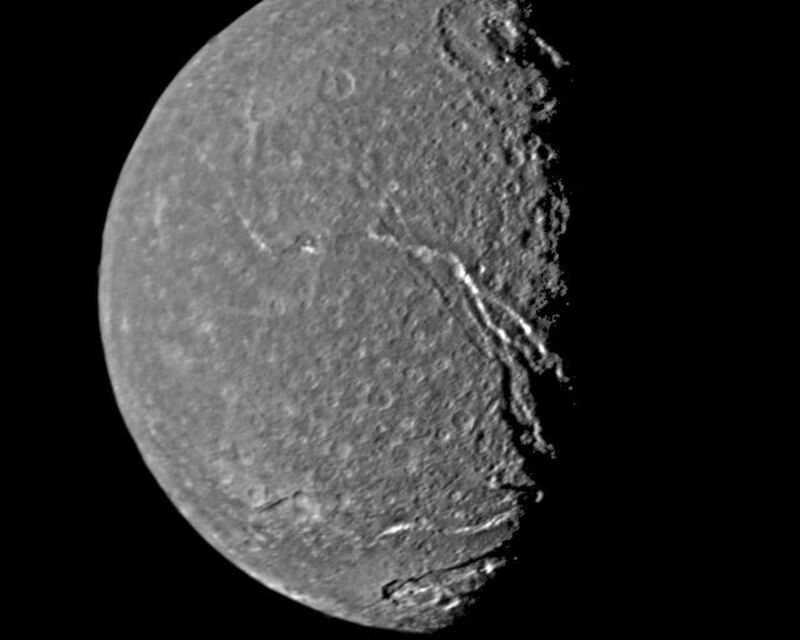 This is the highest-resolution picture of Titania returned by Voyager 2. The picture is a composite of two images taken Jan. 24, 1986, through the clear filter of Voyager's narrow-angle camera. At the time, the spacecraft was 369,000 kilometers (229,000 miles) from the Uranian moon; the resolution was 13 km (8 mi). 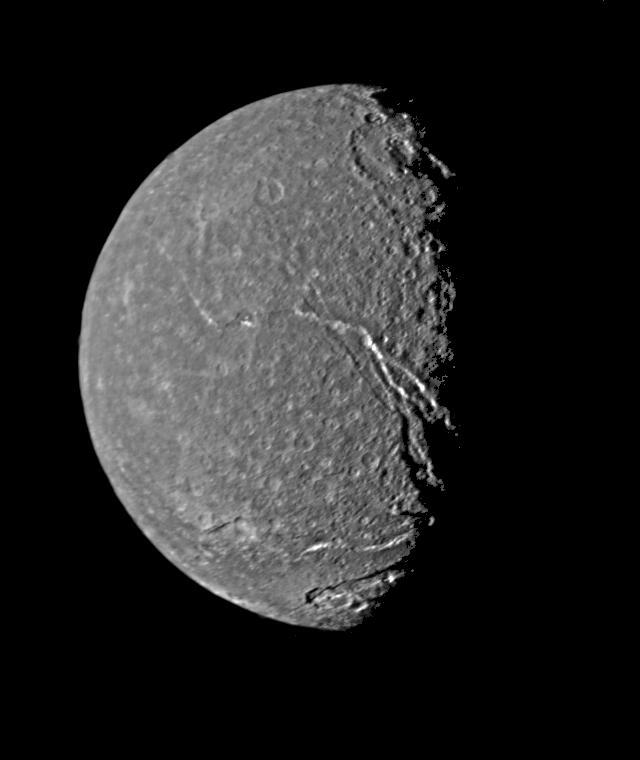 Titania is the largest satellite of Uranus, with a diameter of a little more than 1,600 km (1,000 mi). Abundant impact craters of many sizes pockmark the ancient surface. 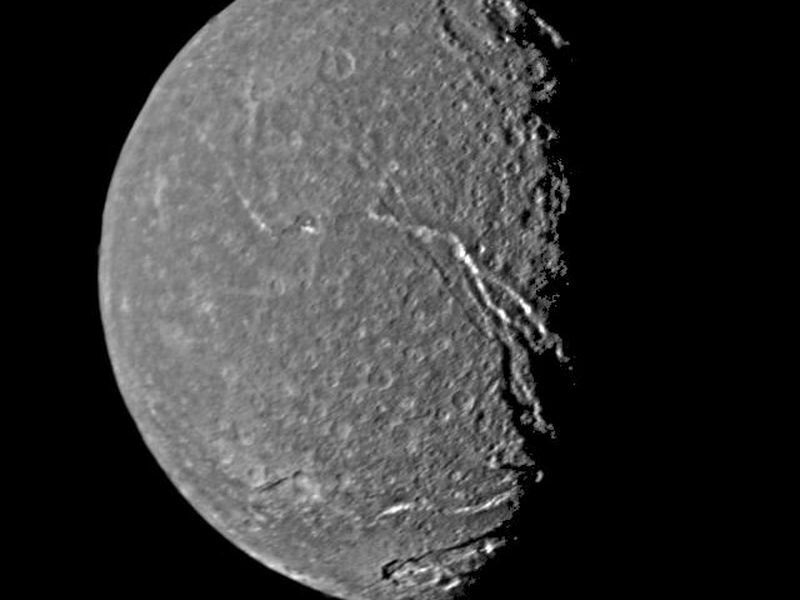 The most prominent features are fault valleys that stretch across Titania. They are up to 1,500 km (nearly 1,000 mi) long and as much as 75 km (45 mi) wide. In valleys seen at right-center, the sunward-facing walls are very bright. While this is due partly to the lighting angle, the brightness also indicates the presence of a lighter material, possibly young frost deposits. 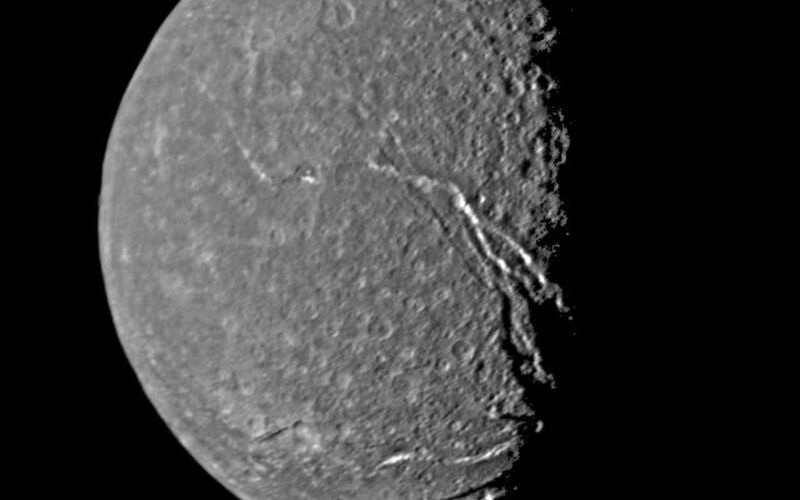 An impact crater more than 200 km (125 mi) in diameter distinguishes the very bottom of the disk; the crater is cut by a younger fault valley more than 100 km (60 mi) wide. An even larger impact crater, perhaps 300 km (180 mi) across, is visible at top. The Voyager project is managed for NASA by the Jet Propulsion Laboratory.